Within the past couple of decades, a debate about the use of vaccines (on children) has sprung up on the internet, circulating mostly on popular social media sites. While most parents keep up with their children’s vaccinations, making sure that they are getting all of the appropriate shots, some choose not to use vaccines at all. 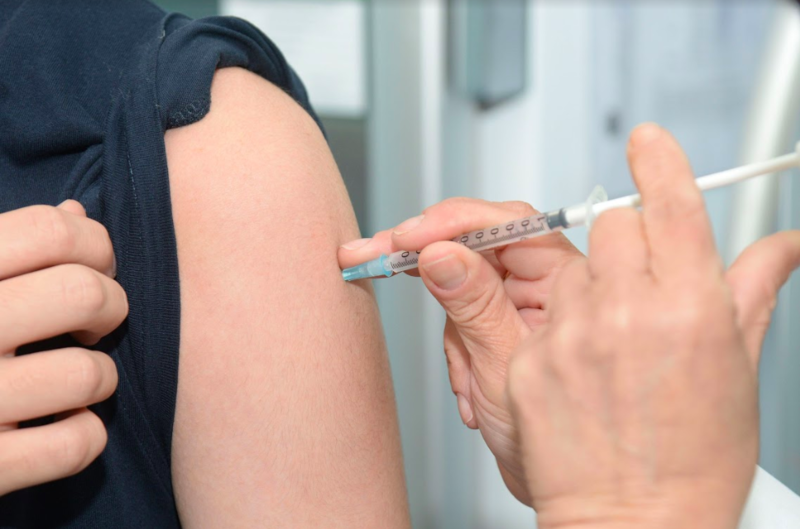 Although the law states that it is legally required for children to be vaccinated if they attend public schools and institutions (with some medical and religious exemptions), it is not required for kids who do not attend these schools, despite their presence in other public settings. This debate focuses on the safety of vaccines and whether or not their use in medical contexts is ethical. While we have scientific evidence showing that vaccines have completely eradicated some strains of harmful diseases, some parents have looked deeper into the common method of disease protection and found some disturbing and worrying claims. In order to form a true opinion on the topic, it is important that one first understands how vaccines work. A vaccine is defined as “a substance used to stimulate the production of antibodies and provide immunity against one or several diseases, prepared from the causative agent of a disease, its products, or a synthetic substitute, treated to act as an antigen without inducing the disease.” During the process of vaccination, a patient is injected with the previous year’s strain of a given disease (for example, this year’s flu shots carried 2018’s flu strain) mixed with formaldehyde. This exposes the body to the disease in order to strengthen the immune system by forcing it to produce antibodies. The formaldehyde is used to deactivate bacteria, ensuring that there will be no post-injection symptoms or illnesses. Knowing this, one may wonder why people are against this practice. In the early ’90s, concern rose over a claim stating that vaccines caused autism. A study was published by British researchers following 12 children. The findings of this study supposedly proved that there was a link between vaccines and autism, which pushed many others to do research of their own. Over 10 follow-up studies were conducted, none of which were able to support that statement. Today, we still can’t find a link between the two. Another concern is that vaccines are purely profitable. However, there is a problem with this concern. Most products and goods are profitable. Capitalism’s link to Big Pharma is a different argument, and vaccines are not the leading source of profit for this group of corporations. Lastly, a truly valid concern regarding vaccines is the cost. The majority of the healthcare provided for U.S. citizens is costly – excruciatingly so. This problem has more to do with the fact that not all Americans are guaranteed healthcare. This issue needs to be addressed generally, not only regarding vaccines – and again, is the topic of a different discussion. Vaccinations have positively impacted our lives today and continue to do so. Many people have immunity deficiencies, making them unable to receive vaccinations. When those of us with functioning immune systems choose not to get vaccinated, we are putting people with immunological deficiencies at an unacceptable level of risk. Vaccine refusal has contributed to the comebacks of once-eradicated diseases in our schools and neighborhoods. These diseases include mumps, measles, and more. Lastly, the argument that vaccines are linked to autism, although false, normalizes a harmful and ableist rhetoric. The idea that autistic kids are any less important or deserving of love and safety – or that they somehow need to be “cured” – hurts autistic people on a social and institutional level. The mere idea that it is preferable to have an ill or deceased child over an autistic kid is a prime example of the ableism that is prevalent in our society. The bottom line is that vaccines are helpful. People are entitled to their own beliefs, but spreading false claims is harmful in many ways. We need to make sure that our children and all future generations are safe, and as of now, science tells us that the best way to do that is for us and our loved ones to get vaccinated.